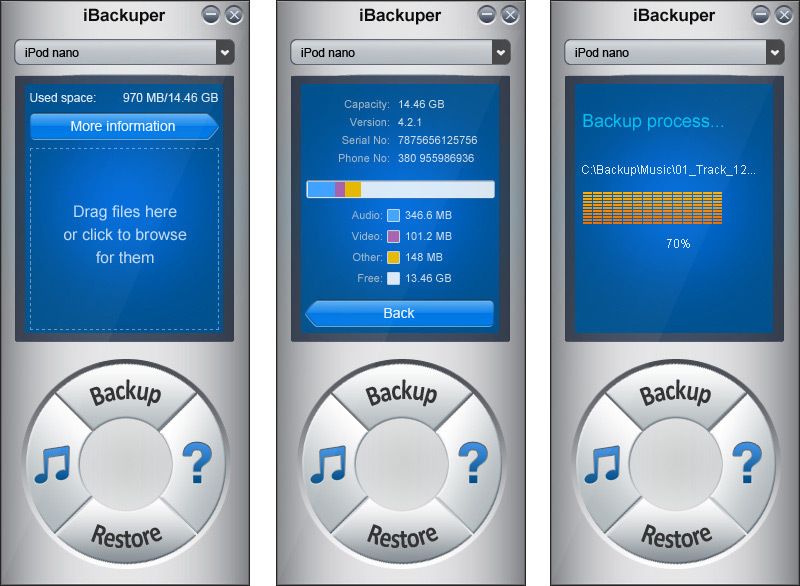 Best4Video iBackuper is simply an indispensable program for iPhone, iPod, iPad users, because it allows easy creation of backup copies of Apple portable devices and fast restoration of the data anytime you need. If you ever lose your gadget you'll be able to completely restore all the data from the backup copy of it that you have created earlier using Best4Video iBackuper. So as you see the program is an essential tool to prevent the loss of the valuable data from your Apple device. 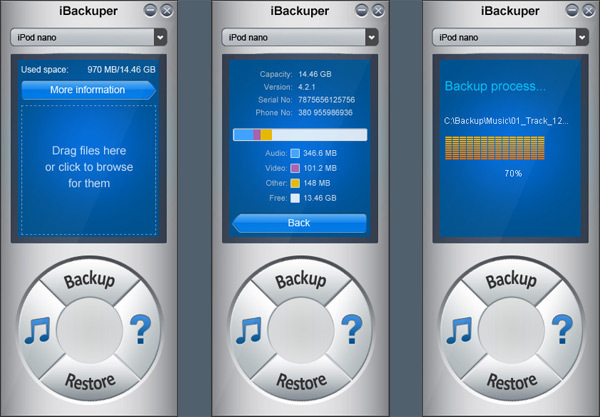 Best4Video iBackuper doesn't require using iTunes to backup the data. Easy and fast “snapshots” of your device done with just a mouse click. All backup copies are stored on the hard drive for you to easily find them when the time for restoration comes. You can also synchronize the data between two devices and backup it too. All backup files will be then moved to a new device in the same order. Create backup copies. 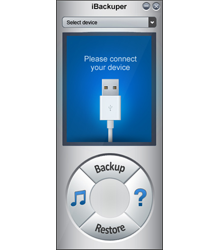 All the created backup data from your iPhone, iPad or iPod is then safely stored on your hard drive. Restore data from the lost gadget anytime. No need to worry about the lost data with full backup copies created by Best4Video iBackuper. Synchronize data between two Apple devices. The same order of files is kept, so you can easily find the type of data you need. Best4Video iBackuper lets you forget about the headache of lost gadget and the data on it. Backup your device and restore when needed using Best4Video iBackuper!